Current interest in non-gradient optimization can be attributed to two, distinct developments. The first stems from studying natural processes and the second from fast progress in the computing environment. The first has resulted in new optimization techniques like simulated annealing, tabu search and genetic algorithms whilst the second has made many of the existing zero order methods computationally affordable. 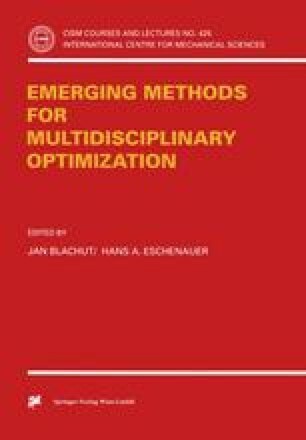 This chapter discusses simulated annealing, tabu search, dynamic programming, random methods and other heuristics. A variety of illustrative examples is provided together with practical examples drawn from structural mechanics.